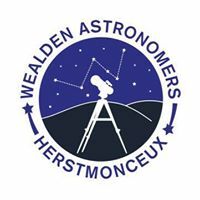 It's that time again, Weaden AS will be supporting The Observatory Science Centre at the 9th Astronomy Festival on 6th-8th September at Herstmonceux. If you are a member looking to support the event, and are available during the weekend, please contact Kevin or Keith via telephone or email as soon as possible. Members are always needed to support the shifts with car parking duties, the W.A.S stand or with the scopes on the lawn. So if you are interested, have those Wealden AS t shirts, jumpers and lanyards ready and drop us an email ASAP to wealdenas@gmail.com.